Much of the vast Cape York Peninsula land is vested in Aborigine Trusts managed by corporations. The remainder is government administered land or private land used as working cattle stations. To camp at Lakefield, Iron Range or Jardine River national parks you need to obtain access permits from the ranger stations. When driving on recognised public roads on the main routes to Cape York there is generally no need to obtain permits. 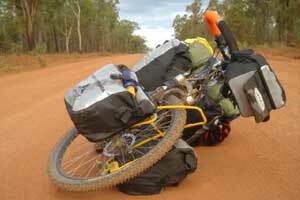 But if you travel on side roads into Aborigine settlements for supplies or camping, a permit may be required. To apply for a permit, write to the appropriate land council or government department enclosing a stamped-addressed envelope, giving the dates and areas you wish to visit. Many of the Aborigine corporations are on the Web, so an email exchange may suffice. The main Cape York Land Council website is: www.cylc.org.au. Many of the east-west side roads off the main Peninsula Development Road and the Old Telegraph Road lead to cattle station homesteads. To obtain permission for camping, fishing, hunting or trekking, it is best to drive directly to the homestead and request approval for the activity. There are many warning signs posted that threaten prosecution for trespassing, so it pays to sort things out quickly. Special conditions apply to the ‘Tip’ of the peninsula above Jardine River Ferry Crossing. The Injinoo Community Council requires all travellers to obtain a current Access Permit. This can be purchased from the ferry company. The ferry trip fee includes the Access Permit and at the time of writing is priced at; A$99 return for a vehicle and passengers, A$129 if you have a trailer and A$39 for a motorcycle. 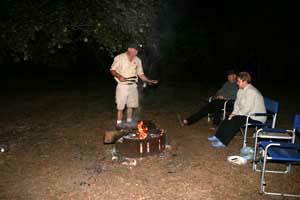 An Injinoo Handbook is also provided that lists the rules and regulations for visitors. Examples are; restrain all dogs, don’t collect oysters and don’t take wildlife products out of the region. The combined ferry and access fee generally covers all bush camping from the Dulhunty River to Cape York and provides a fishing licence for the Jardine and Jacky Jacky rivers. However, camping in Jardine National Park and community based campgrounds south of the ferry crossing requires separate permits. Of course if you are travelling with a guided tour group, the operator will normally take care of all permits for access and camping.